Rachel Balaban began dancing at the age of 3, encouraged by her doctor to engage in a physical activity after being diagnosed with a heart murmur. She danced her way through her undergraduate years at Brown University then pursued a career as a clothing designer, always keeping one foot in the dance world. Once her 3 young daughters were in school, she made a career change and began her future with Dance for PD. Rachel received her initial training for Dance for PD in 2009 and immediately began teaching at Connecticut College in New London, CT where she still teaches today. In 2012, she co-founded a program at Brown University called Artists and Scientists as Partners (ASaP) where undergraduates explore the impact of music and dance on people with neurological disorders, specifically Parkinson’s disease and Autism Spectrum Disorder. The students work with both medical and arts practitioners to foster creative, integrative health practices. The ASaP curriculum pairs people with PD and dancers with other movement challenges along with Brown University students. They spend 8 weeks dancing together and getting to know each other in simple and profound ways. Rachel is committed to helping people access their vitality and health through the use of their own bodies and to make dance accessible to all populations. 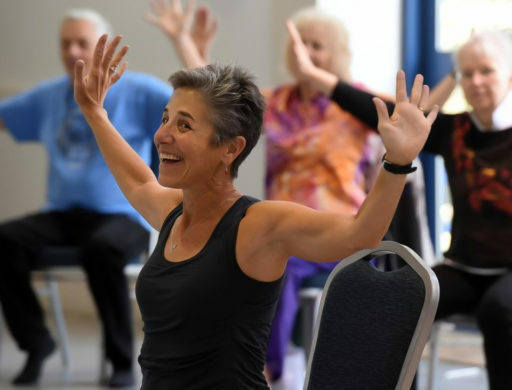 She leads movement workshops for schools, faculty, foundations, corporations, hospitals and other healthcare facilities. Rachel attends the professional development workshop at MMDG each year and loves reconnecting with all the wonderful instructors she’s met over the years. For more information: call Laura Richling, Dance Administrator at 203-624-5189 ext. 49 or 203-675-2930. Download the flyer. For more information: call (401) 261-7062. Download the flyer.